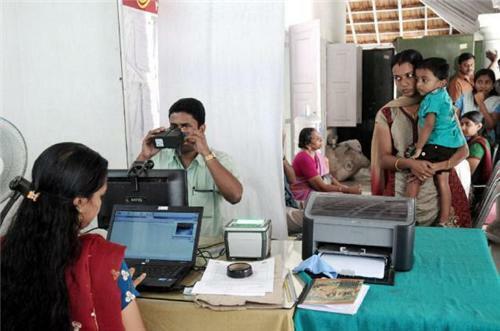 Are you one of those busy I.T professionals in Bangalore who still doesn’t have time to get his or her Aadhar Card done? Well, then in that case you need to pull up your socks. In the coming years Aadhar Card would be single most important identity verification proof for all the personal as well as professional transactions. In the coming years you’ll have to mandatory dole out your Aadhar Card for opening a bank account, issuance of passport and even buying a property. Anyone looking for the card has to do is go to the nearest Aadhar Card registration center in Bangalore and get the enrollment form. Fill the form and submit it to the nearest Aadhar Card center with necessary documents. Enrolling for Aadhar Card has its own importance; there are many benefits of having the Aadhar Card, right from getting the rations to getting a new gas connection, Aadhar card works everywhere. Proof of Address - Ration card or voter card id. Date of Birth School leaving certificate. There are innumerable Adahar Card Centers in Bangalore. Some of them have been mentioned below. However, please do note that some of the Adahar Card centers may have closed down. Calling up the below mentioned contact information also may not be helpful as your calls may not be answered due to high flow of calls. Hence, its better to personally visit the Adahar Card center to confirm the status. Hi! Kindly visit the Aadhar card center for the details.